The Alto was a great place to stay, good size and good location. Beds were comfortable and the staff friendly and helpful. The only negative thing was that it was a little noisy in the main bedroom at night with the sound of the air conditioning and general noise outside. Although this was only minor and wouldn't stop me from staying there again. Great apartment for 3 couples. Nice having own bathroom. Comfy beds and pillows. Thanks Alto on Bourke, would definitely stay again and recommend to friends. Very comfortable, clean, modern, free Wi-Fi. We enjoyed our stay at Alto and will definately stay again. Very professional service and took care of the small things (e.g. putting my case in my room prior to check-in, opening window in my room to freshen). Very pleasant. Happy to come back again. Will recommend to friends. Unit well appointed (well equipped kitchen and bathroom) although the suite was smaller than the one bedroom unit we had stayed in previously. E.g. dining table was too small for 2 ppl to eat at. Breakfast good value and staff generally attentive. Always like to stay here when attending conferences for work. Great little gem hidden away, was perfect for my needs on this trip. Would definitely stay again. Alto was a great place to stay - close to Southern Cross station. airport bus and trams and walking around centre; the most comfortable bed I have used for a very long time; small, personable and homely, especially with the coffee on; funky and full of character (fantastic black-and-white photographs of Melbourne scenes, orange accents in room) ; eco-conscious. It was the ideal accommodation especially as I was travelling alone and it felt like home rather than an anonymous chain hotel. I have already recommended it to colleagues and friends, and will stay with you if I ever get back to Melbourne (!). I normally don't bother with breakfast but your deal made it worthwhile, and allowed me to get on with the day without the need to stop and fill up. Please refer to suggestion box! Great place to stay. Excellent breakfast! Always a pleasure to stay at Alto. Have brought friends to have coffee and drinks to show them the friendly nature of Alto. Very convenient location and comfortable room. The breakfasts were great as usual and I was particularly impressed by the helpfulness, friendliness and enthusiasm of the staff at breakfast. This was our second stay at Alto and would stay again and still recommend it. It was my second stay at the Alto and I have been very satisfied with my stay here each time. The rooms are neat and clean and nicely designed. The check in and check out is easy and hassle free. And the staff knowledgeable and friendly. 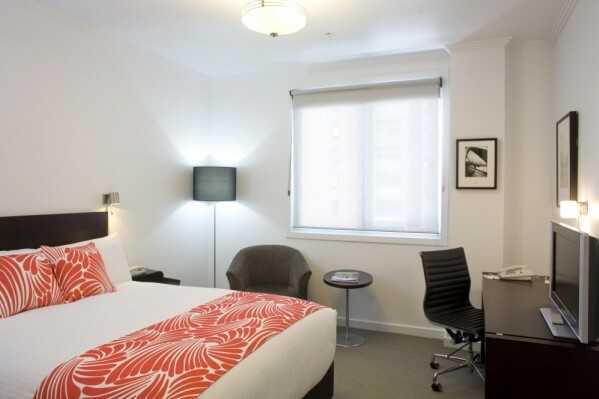 And the location is perfect, just a few minutes from the Southern Cross station. Highly recommend. Excellent plan to be back next year! Stayed here as a biz traveller. Felt like I was visiting friends. Staff was great. Best cable select of any hotel I've stayed at. Loved the massage chairs. I'll stay here again. I had a wonderful time, the staff were extremely helpful, warm and welcoming environment, provided excellent maps and guidance, location was perfect so close to trains and trams, meals were great value for money and extremely tasty. The coffee machine was wonderful too as it also provided take away cups which was most helpful. If you get the chance have a go on the massage chairs, they were wonderful after long days of walking and seeing the sights and experiences on offer in Melbourne. Room was compact, clean, limited noise from external sources. I loved the greenery in the room, it was a lovely little touch. It was exactly what I was hoping for. You provided everything we needed to look after our toddler. Your recommendation to Scugnizzo was perfect as the chef provided a toddler meal & we enjoyed catching up with family there. Thanks everyone once again for a fantastic stay. I feel like hotel Alto is my home away from home when I have to come to Melbourne. I wouldn't stay anywhere else! It's a comforting personal setting with positive and helpful staff. It served its purpose very well. Homely, quiet and very comfortable. Good. Small rooms and lounge/dining area small. Tidy rooms. Polite staff. Very accommodating staff in the kitchen and friendly staff at the frontdesk. We loved the nice touch of free coffee at any hour of the day. The staff were helpful in helping us arrange airport pick-up. Great experience. Staff friendly and helpful. Great location.